Welcome to BOX OFFICE BREAKDOWN, where we discuss this weekends box office results. The TOP 3 films for the weekend of June 26-28 were Jurassic World, Inside Out, and Ted 2. 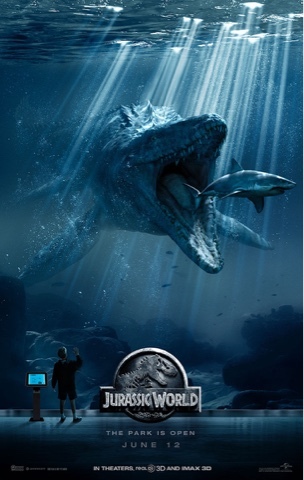 Jurassic World claimed the top spot at the box office again, for the third week in a row, by bring in another $54.5 million domestically, and an impressive $1.245 billion worldwide, jumping up 5 spots making it the 8th highest grossing film of all time, beating out Transformers: Age of Extinction, Skyfall, LOTR: Return of the King, Transformers: Dark of the Moon, and Iron Man 3. Check out my review of the film HERE. The newest project by Disney's dominant animation studio, Pixar, Inside Out, performed very well in its second weekend, bringing in $52.3 million, dropping only 42.1% from its opening weekend, but wasn't quite able to take out the juggernaut that is Jurassic World. 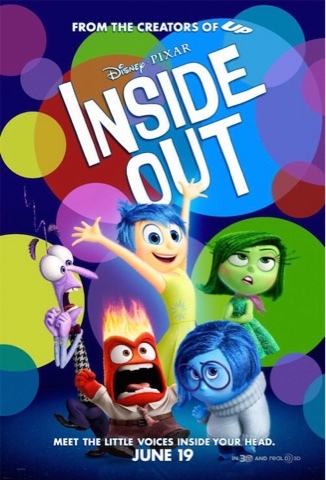 With the foreign markets added in, that brings the worldwide total for Inside Out to $266.6 million. And with such good critical reception, we very well may see this film. If this film continues to have legs, we could have another Frozen on our hands. 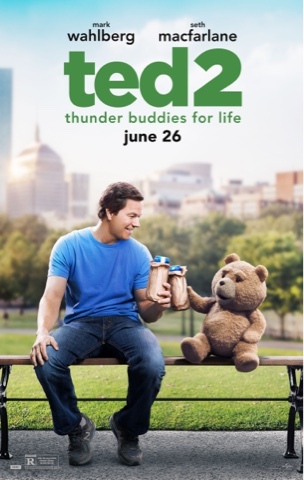 Seth MacFarlane's follow-up to his 2012 comedy, Ted, hit theaters this weekend, but, unfortunately, failed to really make a splash. Bringing in a disappointing $33.5 million domestically, Ted 2 saw a drop of 38.4% from its predecessor. Universal's own estimates had the film at $45-50 million. This makes Ted 2 the second film from Seth MacFarlane to underperform for the studio, coming of the heels of last year's A Million Ways To Die In The West, which only brought in $43.1 million domestically during its entire run. Join us next week for another edition of BOX OFFICE BREAKDOWN. Which movies will be on top? Which movies will under perform? Check us out next week for the scoop!